Sigh. What can you do when you’re stuck in the loo queue? Should you make small talk, look at the ceiling or just cross your legs? 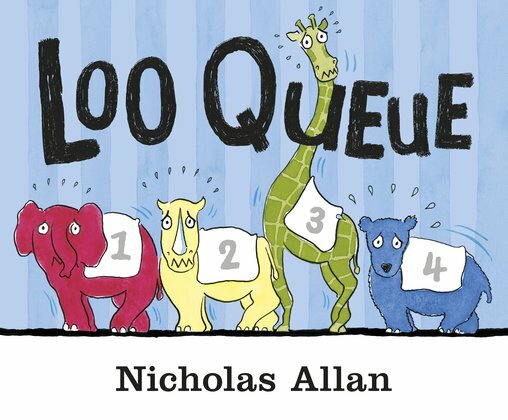 Well, if you’ve got this wacky new book from funny hero Nicholas Allan, you can spot colours, count, rhyme and laugh with lots of animal friends! The queue for this particular loo is getting longer and longer. Lots of multi-coloured critters are turning up, and they all really need to go. What sorts of animals are there? How many? What different colours can you spot? And, most importantly – who’s in the loo? What’s taking them so long?